Ensuring that employers collect and pay over to the Internal Revenue Service taxes withheld from their employees’ wages is one of the highest priorities of the Justice Department’s Tax Division. Unpaid employment taxes are a substantial problem for the U.S. government, as amounts withheld from employee wages represent nearly 70 percent of all revenue collected by the IRS. As of June 30, 2016, more than $59.4 billion of federal employment taxes remained unpaid, and employment tax violations represent more than $91 billion of the “Tax Gap,” which represents the difference between the amount of taxes owed to the U.S. Treasury and the amount actually collected. In this context, several recent criminal prosecutions demonstrate the perils businesses, and their officers, face if they fail to carry out their legal duty to remit employment taxes to the IRS. Employers have a legal responsibility to collect and pay over to the IRS taxes withheld from their employees’ wages. These employment taxes include withheld federal income tax, as well as the employees’ share of social security and Medicare taxes (collectively known as FICA taxes). Employers also have an independent responsibility to pay the employer’s share of FICA taxes. The IRS takes the position that when employers willfully fail to collect, account for, and deposit with the IRS employment tax due, they are stealing from their employees and ultimately, the U.S. Treasury. The IRS also contends that employers who willfully fail to comply with their obligations and unlawfully line their own pockets with amounts withheld are gaining an unfair advantage over their honest competitors. The Justice Department’s Tax Division pursues civil litigation to enjoin employers who fail to comply with their employment tax obligations and to collect outstanding amounts assessed against entities and responsible persons. In the last two years, in an effort to send a clear message to delinquent employers who treat taxes withheld from employee wages as a personal slush fund or loan that can be put off or ignored entirely, the Justice Department filed 55 injunction complaints in federal courts across the country and obtained 47 permanent injunctions. These injunctions require the timely deposit of employment tax and filing of employment tax returns, prompt notice to the IRS after each deposit, and notice to the IRS if the employer begins operating a new business. In addition, the injunctions preclude employers from assigning property or making payments to other creditors until the company’s employment tax obligations are paid. On January 26, 2017, two West Virginia business owners were sentenced to prison for failing to pay over employment taxes. Michael Taylor and his wife, Jeanette Taylor, were sentenced to serve 21 months and 27 months in prison, respectively. According to documents filed with the court, from 2000 through 2010, the Taylors owned and operated a construction business that transported steel and sold gravel and concrete throughout West Virginia and Kentucky. The Taylors changed the name of the business several times, though the operations of the business remained the same. From 1999 to 2004, the business was operated as Taylor Contracting & Taylor Ready-Mix LLC. In 2004, the name changed to Taylor Contracting/Taylor Ready-Mix LLC. In 2010, the name changed a third time to Bluegrass Aggregates. Both Michael Taylor and Jeanette Taylor were responsible for collecting, accounting for, and paying over to the IRS federal income taxes and social security and Medicare taxes that were withheld from the wages of their employees. From July 2007 through 2010, the Taylors withheld over $850,000 from their employees’ paychecks, but instead of paying over the withheld taxes to the IRS, the Taylors used the funds to purchase property and finance their horse farm. The Taylors also failed to pay over $490,000 in employment taxes for their prior business. The total tax loss for the Taylors’ conduct is $1.4 million. In addition to the term of prison imposed, Michael Taylor was ordered to pay $1,440,130 in restitution to the IRS. Jeanette Taylor was ordered to pay $766,273 jointly and severally with Michael Taylor to the IRS. On January 12, 2017, a Pittsburgh tax attorney was sentenced to four years in prison for failing to remit employment taxes to the IRS. According to court documents and the evidence presented at trial, between 2004 and 2015, Steven Lynch co-owned and operated the Iceoplex at Southpointe, a recreational sports facility located in Washington County, Pennsylvania. Iceoplex included a fitness center, ice rink, soccer court, restaurant and bar. Lynch controlled the finances for these businesses and was responsible for collecting, accounting for, and paying over tax withheld from employee wages, and timely filing quarterly employment tax returns. The jury found that between 2012 through 2015, Lynch failed to timely pay over to the IRS more than $790,000 in taxes withheld from the wages of the employees for these businesses. In addition to the prison term sentence, the Court ordered Lunch to pay $793,145 in restitution to the IRS. On December 15, 2016, an Iowa businessman was sentenced to 13 months in prison after pleading guilty to failing to pay employment taxes. Darrell Smith was the president and general partner of Energae, which was a minority investor in Permeate Refining LLC., an ethanol-production business in Hopkinton, Iowa. In his position at Energae, Smith had significant control over the finances of Permeate and was responsible for paying over to the IRS employment taxes on behalf of Permeate’s employees. From the first quarter of 2011 through the third quarter of 2012, Smith failed to pay over $502,863. After Smith discovered that a subordinate employee had made some payments to the IRS, Smith stopped that employee from making further payments. On October 24, 2016, the owner of several Nevada landscaping and rock hauling businesses was sentenced to 10 months in prison for failure to pay over employment taxes. In addition, the company’s bookkeeper was sentenced to five years’ probation with three months home confinement for willful failure to file an employment tax return. According to documents filed with the court, Kyle Archie was the part owner of Reno Rock Inc., GKPA Inc., and D Rockeries Inc. Kyle Archie admitted that he was responsible for the day-to-day operations of the businesses and that from 2003 through 2009, he had a legal duty to collect, truthfully account for, and pay over employment taxes to the IRS. He further admitted that although he collected these taxes from his employees’ wages and held them in trust, he failed to pay them over to the IRS for the third quarter of 2008. Linda Archie, who is Kyle Archie’s mother, worked as the bookkeeper for Reno Rock Inc., GKPA Inc., and D. Rockeries Inc. and was responsible for maintaining the books and records of the companies and filing documents with various government agencies. She admitted that between 2003 and 2009, she failed to file employment tax returns on behalf of these businesses to account for the taxes that were withheld from the employees’ wages. The Court also ordered both Kyle and Linda Archie to pay restitution to the IRS in the amount of $1,235,528. 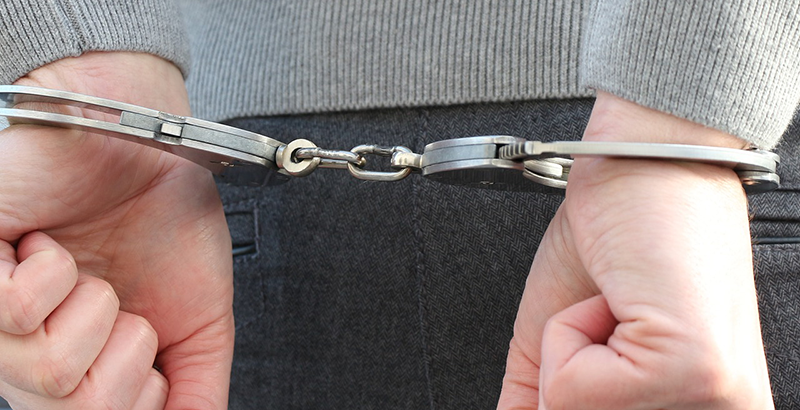 These criminal cases demonstrate the harsh consequences that employers face if they willfully fail to comply with their legal duty to collect and remit employment taxes. Such cases will not simply be addressed civilly by the IRS with back payment of taxes and penalties by the employer, but instead may be criminally prosecuted and with responsible corporate officers facing prison sentences. This is particularly the case if the withheld taxes are used to pay personal expenses of the business owners and/or to fund luxurious lifestyles. The Justice Department and IRS are especially focused on “pyramiding,” which refers to the common practice of repeatedly filing bankruptcy once a substantial employment tax liability has accrued and opening a new business entity so as to avoid the payment of employment taxes, as occurred in the Taylor case described above. And the “willfulness” legal standard is not particularly difficult for prosecutors to satisfy, as nearly all employers are aware of their obligation to remit taxes withheld from their employees’ paychecks. Employers must take special care to ensure that withheld employment taxes are property remitted to the IRS given the intense focus now being paid to this area by the Justice Department and IRS. 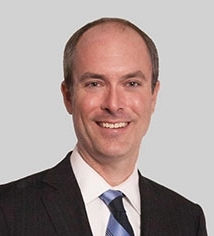 Matthew D. Lee is a former U.S. Department of Justice trial attorney who focuses his practice in the areas of white-collar criminal defense and investigations, federal tax controversies, financial institution regulatory compliance and complex civil litigation. Matt represents companies and individuals in federal grand jury investigations and criminal prosecutions in a wide variety of areas, including tax, money laundering, health care, securities, public corruption, antitrust, Foreign Corrupt Practices Act, False Claims Act and fraud offenses.